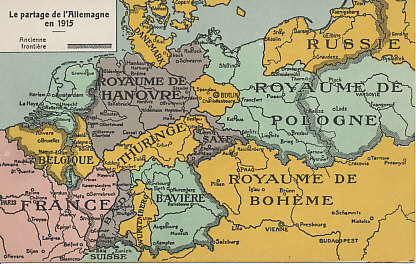 A fantasy division of Germany (and Austria-Hungary) from 1915, after victory by the Entente Allies. 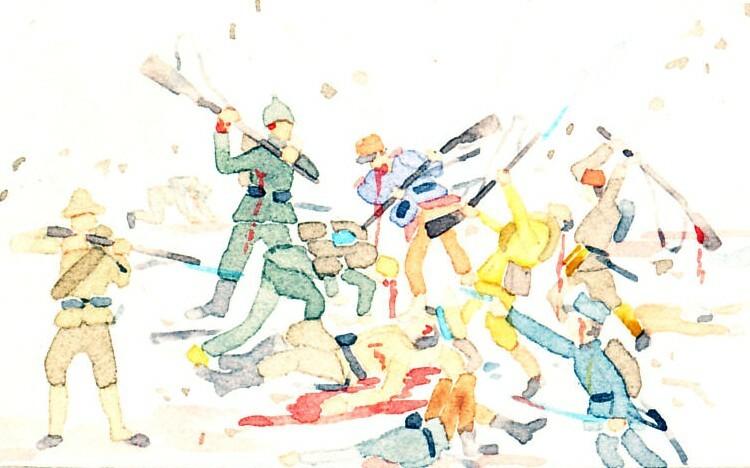 France and Belgium both gain territory at the expense of Germany. Russia gains the significant part of the Baltic coast although losing land to an again-independent Kingdom of Poland. The German Empire is dissolved, the land reverting to its constituent states. Denmark regains Schleswig-Holstein. 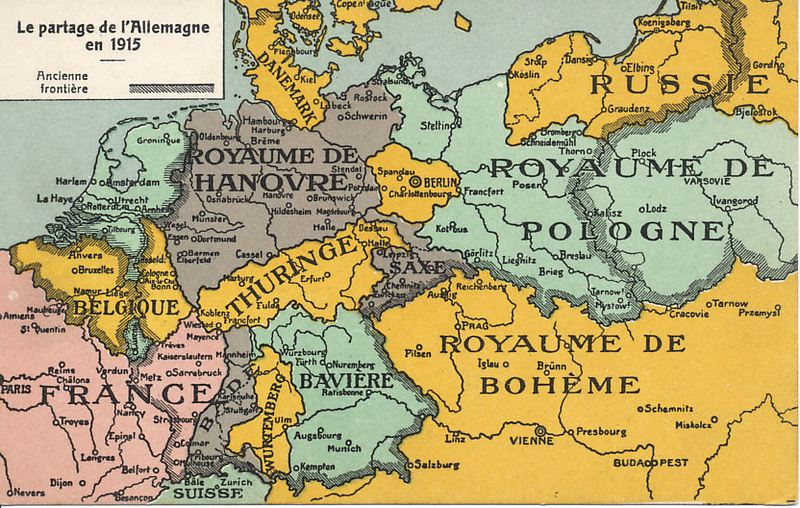 Austria-Hungary is no more, much of it now the reconstituted Kingdom of Bohemia.